19. – 23. October 2013 - with support of LIAA we participate at Bygg Reis Deg international trade fair of the building industry in Oslo, Norway. 5-9 February 2013 - with support LIAA we participate at the biggest furniture exhibition in Sweden " Stockholm Furniture & Light Fair " . Place : Sweden , Stockholm . 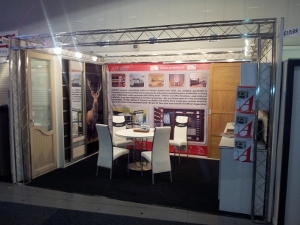 4-7 October 2012 - we'll be glad to see You near our stand at the exhibition "Baltic Furniture 2012" at Kipsala International Exhibition Centre, Riga, Latvia. NEWS : We offer aluminium doors with imitation of tree : profile - Andorra , color - wenge. From August 1st, 2011 welcome to our new store on 452 Maskavas str. From June 6th, 2011 handle Koncept also available in 3 colours. 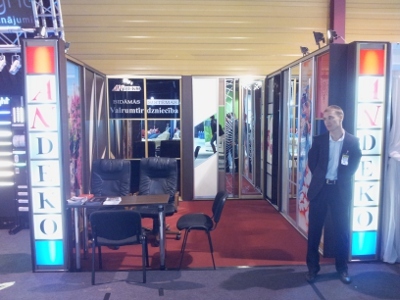 October 26th - 29th, 2010 - participation in 17th international specialized exhibition for machinery, equipment and technologies for timber, woodworking and furniture industry WOODWORKING'10 in Minsk, Belarus. October 1th - 4th, 2009 - we will participate at the International Furniture and Interior Design Fair "Baltic Furniture 2009" at Kipsala International Exhibition Centre, Riga, Latvia. From 01.09.09 new handles Neo and Vertu at our warehouse. You can see the profiles pictures at "Products" section. From 01.07.09 the prices for details production are lower!!! 11-15 March 2009 - we'll be glad to see You near our stand at the exhibition House 2009 at Kipsala International Exhibition Centre, Riga, Latvia. 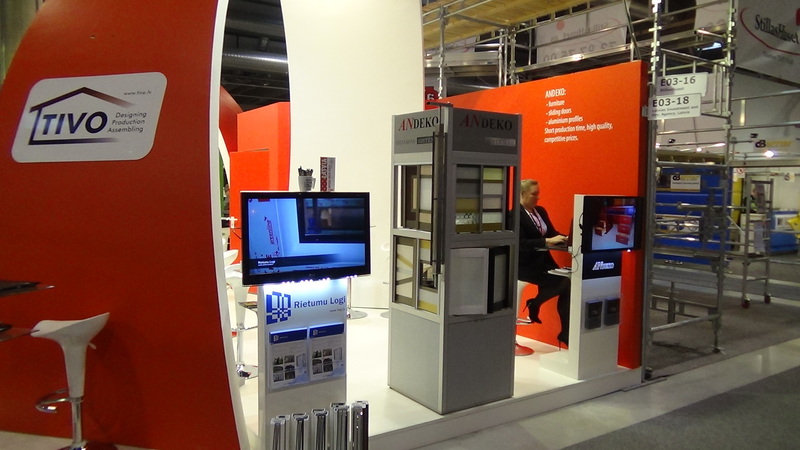 There are new aluminium profiles arrived: Vertu, Koncept, Andorra. Silver color. Also new decoration bar available H-34 mm, silver, champagne and gold color. September 25th - 28th, 2008 - we were participating at the 11th INTERNATIONAL FURNITURE FAIR BALTIC FURNITURE MARKET at Olympic Sport centre, Riga, Latvia. October 2th - 5th, 2008 - we were participating at the 13th International Furniture and Interior Design Fair "Baltic Furniture 2008" at Kipsala International Exhibition Centre, Riga, Latvia.